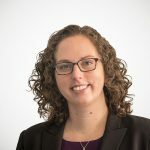 My name is Nicole Kaeding, and I’m an economist at the Tax Foundation. For those unfamiliar with us, we are a non-partisan, non-profit research organization that has monitored fiscal policy at all levels of government since 1937. We have produced the Facts & Figures handbook since 1941, we calculate Tax Freedom Day each year, we produce the State Business Tax Climate Index, and we have a wealth of other data, rankings, and information at our website, www.TaxFoundation.org. I’m pleased to testifying today on House Bill 159, 160, and 161 which deal with inflation indexing in the individual income tax code. While we take no position on legislation, I plan to share some of our research on inflation indexing across the country and the economic evidence related to these types of provisions. The federal government began inflation indexing its tax brackets in the 1980s. Many states have copied those policies as a taxpayer protection as they modernize their tax codes. Forty-three states levy an individual income tax. Of those states, 24 fully index their brackets to inflation. 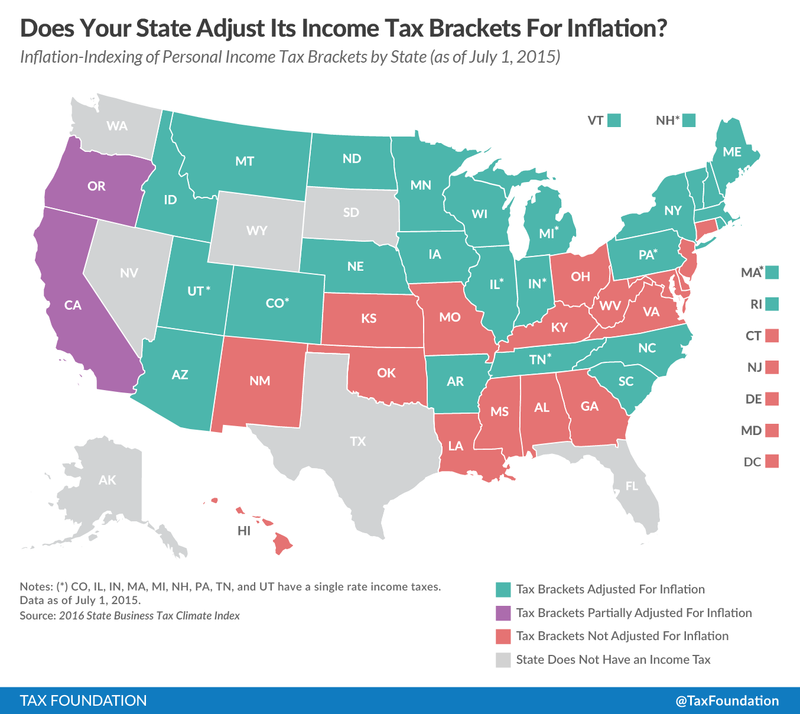 Nine of those states have single-rate income taxes, which are inflation-indexed by their definition. California and Oregon partially index their brackets. The remaining 18 states and the District of Columbia do not index their brackets. Inflation indexing a state’s standard deduction is even more common; 32 states and the District of Columbia index their standard deductions. Finally, 19 states and District of Columbia index their personal exemption. Maryland does not index any of these components of its income tax code. Inflation indexing matters. Otherwise, “bracket creep” occurs. Bracket creep is the process by which a higher income level pushes a taxpayer into the next tax bracket, even if that higher income is just keeping pace with inflation. As a result, the individual pays higher taxes than they otherwise would. A lack of inflation adjustment can also push more of a taxpayer’s income into the highest bracket for which they qualify. The result is a higher tax burden for taxpayers whose wages may have increased in only nominal terms, but not in terms of purchasing power. This tax increase compounds each year, without any legislation being passed. Bracket creep makes tax codes more regressive. Lower and middle-income individuals are more affected by this policy. The effects of bracket creep are stronger in Maryland as Maryland does not index any component of its individual income tax. The effects are particularly strong within the standard deduction and personal exemption, which are designed to provide tax relief to low-income individuals. By not indexing the values for inflation, the value of these provisions shrinks annually. Failing to inflation index puts an additional strain on Maryland businesses. Without inflation indexing, tax burdens rise faster than wages. In addition, tax burdens increase faster than a business’ inflation-adjusted revenue. As bracket creep pushes up tax burdens, employees will seek to preserve their after-tax income. To do so, they will demand raises at the rate of their increasing tax burdens, but an employers may only be able to afford to offer raises at the pace of inflation. This phenomenon would likely affect smaller firms more, making it harder for businesses to hang on to high-skilled workers. Finally, I would like to encourage you to carry out inflation indexing into perpetuity. The main benefits are cumulative; they manifest over many years, or even decades. It is important that inflation indexing be carried out year after year, without interruptions or suspensions. Inflation indexing is a key reform to include in any tax modernization effort. It enables taxpayers to have greater confidence about future tax liabilities, and prevents nontransparent tax hikes. With the consistent application of inflation indexing, Maryland can position its individual income tax code to be more neutral, stable, and transparent for all taxpayers.